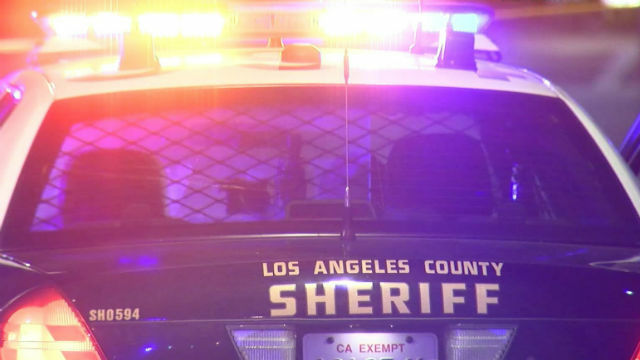 A woman and a teenage girl, believed to be a mother and daughter, were found dead Wednesday in a Monrovia apartment building and authorities named a man who had an on-again, off-again relationship with the woman as the suspect in the double murder. Nimrod Perez Guerrero, 33, is considered armed and dangerous and possibly driving a gray 2014 Toyota Rav4 with California license plate 7FPB132, according to the Los Angeles County Sheriff’s Department. Guerrero is Hispanic, 5 feet 8 inches tall and weighs 200 pounds with brown hair and brown eyes, the sheriff’s department said. The deaths were reported about 1:30 p.m. in the 800 block of West Colorado Boulevard, Deputy Armando Viera Jr. of the sheriff’s Information Bureau said. Anyone with information about this incident or the whereabouts of Guerrero was asked to call sheriff’s Homicide Bureau Detectives Eddie Aguirre or Tony Guillen at (323) 890-5500.